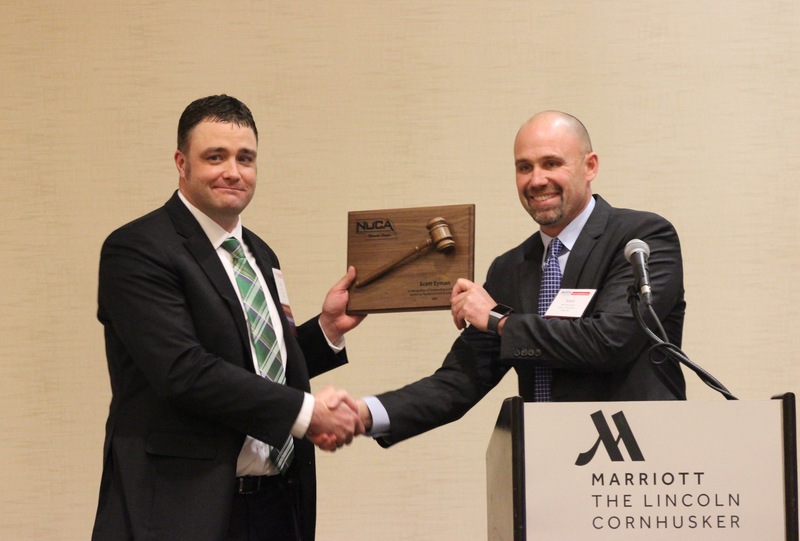 On January 24th 2019 Matt Bevington assumed his elected position as President of the NUCA Nebraska chapter. Valley Corporation has been a member of this organization for 6 years. Over the past two years Matt has served on the board of NUCA as Contractor Director and Vice President. When asked about his new role Matt said “I look forward to leading this wonderful organization over the next year. There will be many opportunities for me to assist in our lobbying efforts at both a state and national level. We have a lot of work to do in securing additional infrastructure funding as well as promoting our industry as an occupation of choice to the next generation”NUCA which stands for National Utility Contractor Association represents contractors who perform underground utility construction. NUCA National was founded in 1964. Celebrating its 10 year anniversary this year, the Nebraska chapter currently has 90 members and is considered one of the top chapters in the country. Matt will continue his role as President/Owner of Valley Corporation. He looks forward to being an advocate for the NUCA Nebraska chapter. Congratulations Matt on your new role as President of NUCA Nebraska! Matt Bevington pictured recognizing Scott Eyman for his role as NUCA’s 2018 President.